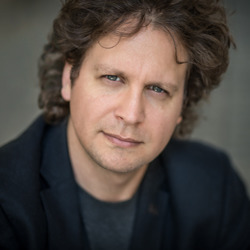 Polish-Canadian pianist Daniel Wnukowski has performed throughout Europe, North America, South America and Asia in prestigious concert halls. He has performed with many orchestras, including the Polish Radio Orchestra, Sinfonia Varsovia, Sinfonia Iuventus, Windsor Symphony and Southfield Symphony with conductors such as Jerzy Maksymiuk, Alain Trudel and David Amos. He has also performed in numerous International Festivals such as Chopin and His Europe in Warsaw, Poland; Festival Dei Due Mondi in Spoleto, Italy; Chopiniana in Buenos Aires, Argentina. Pianist Daniel Wnukowski Performs Works by Handel, Chopin, and Karol Rathaus at Carnegie Hall’s Weill Recital Hall, Friday, May 3 at 8:00 p.m.